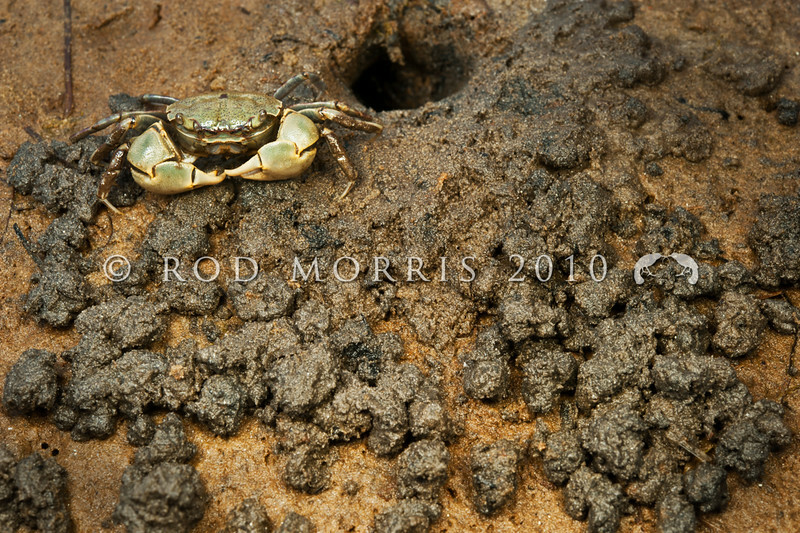 DSC_7444 Tunnelling mud crab (Austrohelice crassa) excavating burrow. Scavenges through mud for organic detritus, and occasionally feeding on bleached decomposing sea lettuce. Tolerant of fresh water, and penetrating far into estuaries. Papanui Inlet, Otago Peninsula.